Learn how to engage donors based on age and demographics, appealing key words and phrases, graphic design elements and other factors. CresPro cloud software offers gift planners and major gift officers greater flexibility and unparalleled access to the tools necessary to successfully do their job and close more gifts. Learn how philanthropy will benefit from a growing economy, low unemployment and an understanding of optimum marketing methods for annual fund, major, blended and planned gifts. Build a gift pipeline from the greatest wealth transfer in history by the Baby Boom generation. Learn how to increase email performance and response rates based on design, content, usability and other factors. 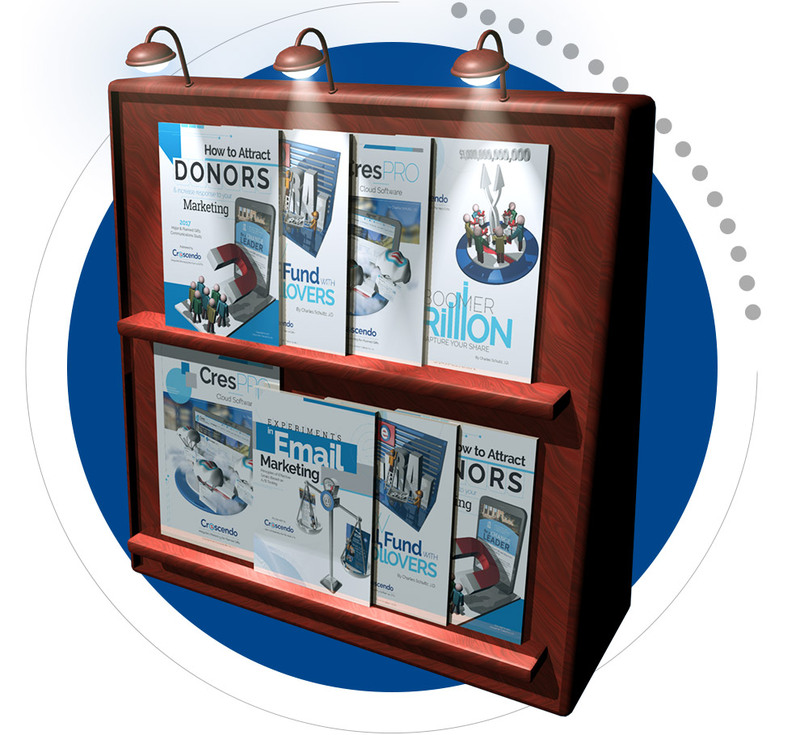 Learn how to use a multichannel marketing campaign and motivate your donors to make IRA rollover gifts each year.